← Are Capacity Auctions Ensuring Reliability or Just Ensuring Generator Revenues? 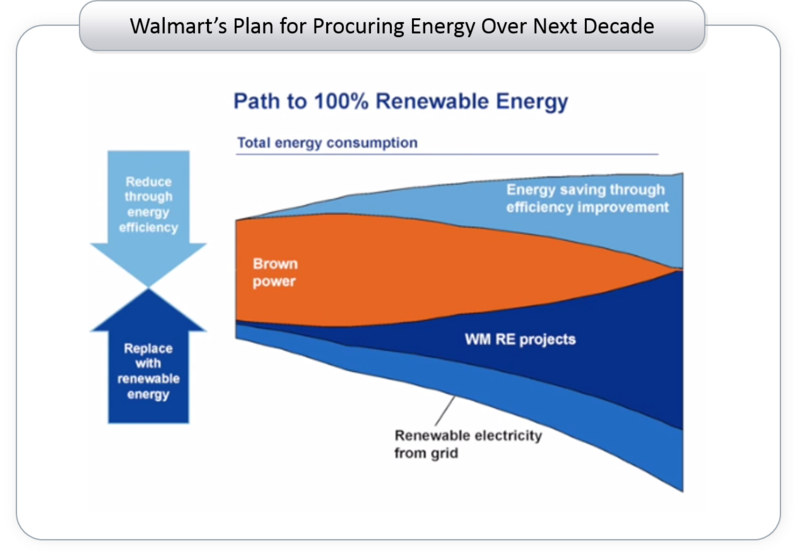 In a recent webinar, Walmart Director of Energy David Ozment described Walmart’s Vision 2020 energy procurement goals. By 2020 Walmart plans to increase procurement of renewables by 600% over 2010 and to accelerate efficiency so that the energy intensity of its buildings is decreased by 20% over the same time period. As Ozment described, Walmart is on the path to procuring 100% renewable electricity. But as Ozment also noted, this is an economic decision not a “feel good” or marketing strategy. Each project has to make economic sense. A piece of this strategy includes using batteries to improve project economics. Walmart began pilot projects in 2013 with small 15-30 kW batteries that are charged at night and discharged during the day. This year, Walmart will pilot larger 200 kW batteries that are designed to be charged by roof-top solar systems. Its pilot partner is, interestingly, Solar City/ Tesla. The smaller batteries have been used to time shift purchased power to take advantage of Time-of-Use (TOU) rates and to shave overall facility peak demand. The larger batteries will be used to manage solar output so that it can be used at the time that will best reduce Walmart’s utility bills either through time shifting or peak shaving. The larger batteries offer much more flexibility to manage bills since they can store an amount of power equal to a typical demand for a Walmart store. Note the key point here – Walmart does not plan to use batteries to disconnect from the utility but simply to manage its utility costs by giving the utility what the utility rate structure tells Walmart it wants: power use at night rather than during the day, and lower monthly peak demands. Down the road, sophisticated commercial and industrial (C&I) customers in certain markets may also be able to increase the economics of batteries through participation in capacity and/or ancillary services markets. Not too far in the future, it is likely that batteries will become a key asset for C&I customers to manage electricity procurement costs. 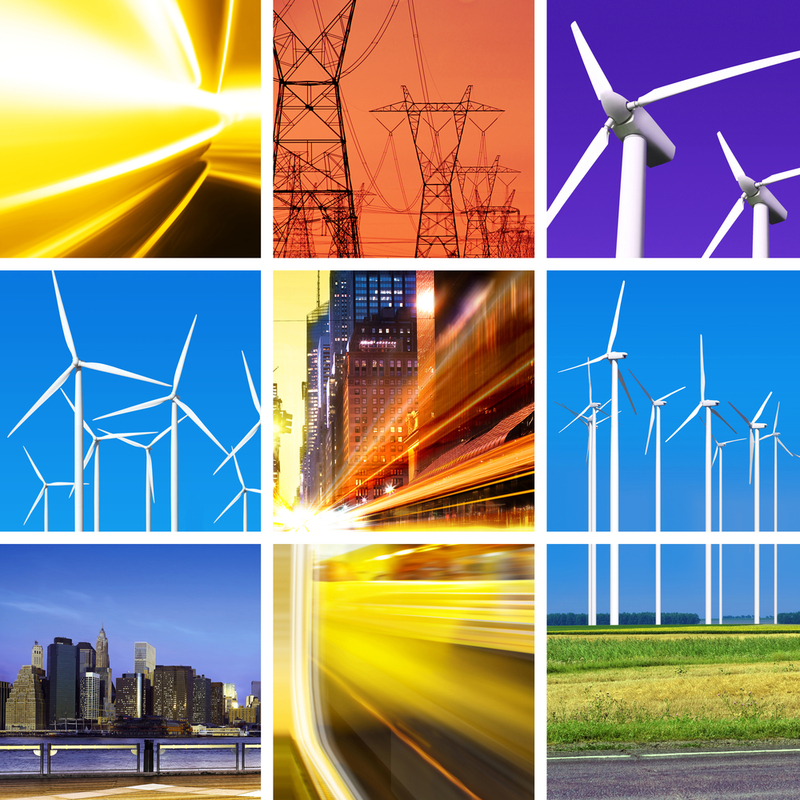 Successful utilities will recognize this and devise rates and services that reward customers for using their assets to benefit the overall distribution grid. This entry was posted in Electricity, Renewables and tagged Battery Systems, Electric Storage, Electric Utilities, Rooftop Solar, Solar Power. Bookmark the permalink.